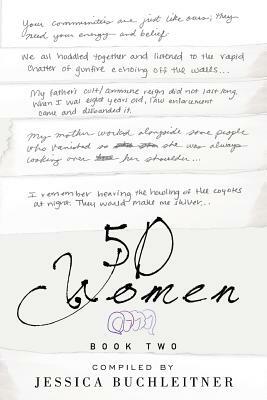 50 Women, Book Two is the second part of a two book anthology series of personal stories of strength and perseverance told by 50 different women from 30 countries. In these individual stories, the women discuss their unique experiences overcoming obstacles concerning political, cultural and societal issues, armed conflict, gender based violence, immigration, health afflictions and business ventures. Many of their stories challenge common stereotypes and provide living historical accounts of the densely complicated political and societal issues of our time.